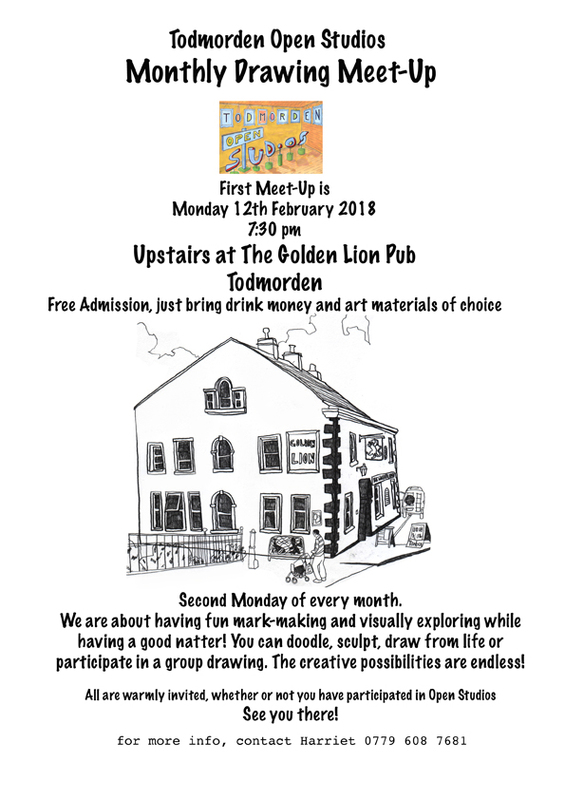 Very happy to announce that, as from Monday, 12th February, Todmorden Open Studios are organising a monthly drawing meet-up. This is a great chance for people to meet one another, see who is out there, drum up ideas and projects, while keeping up the discipline of drawing!! Drawing, using your own choice of materials from pencil to clay, is such an important and basic factor to approaching art, it helps to loosen up and brings out the playful factor that is so important to making art yet can get overlooked. Everybody is invited, whether or not you have participated. Hope to see you there! If you have any queries, please get in touch, I have put all the info on the poster below.